Hair raising tuition by Welwyn’s performing arts school! 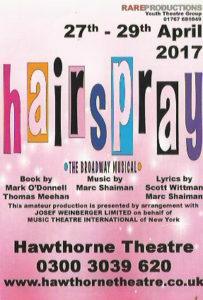 Tutors at Little Voices, Welwyn Garden City are practising what they preach and doing what they say they do on the tin in the teaching room by training the children vocally and dramatically for performances on the stage as two pupils land roles in The Hawthorn Theatre’s production of Hairspray. The tutors certainly know how to provide outstanding musical theatre tuition to the children of Welwyn Garden City. This is now an opportunity for the pupils to go and show the town what they have learnt! Callum Kirwan aged 12 and Hope Neal aged 11 have been attending Little Voices since September and November 2016, respectively and they are so thrilled to have landed their roles in the show that is to run from 27th – 29th April! Little Voices focuses on expert guidance and traditional teaching methods in singing and acting, delivered in small group lessons to maximise student development. Having won a national award for the UK’s Best School Age Music Activity for children in 2015 the Principal, Cherice McKenzie-Cook commented: “We are thrilled that our pupils have been successful through the audition process and are on the stage in Welwyn’s theatre. 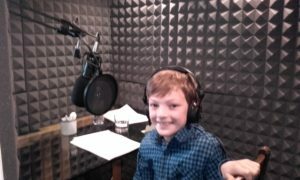 We have a committed, passionate and talented team of tutors at Little Voices Welwyn Hatfield and our success is testament to their expertise and dedication. 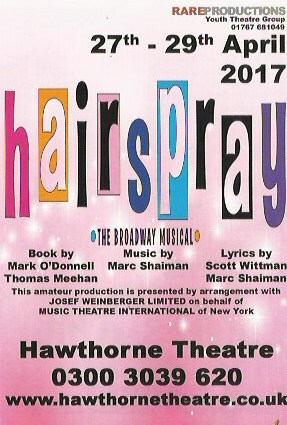 They really care about each individual pupil and this allows their talents to be nurtures and their confidence to be built so that they can strive ahead with their dreams and audition for shows such as Hairspray. It is important that children are taught by people with hands on experience of the stage and that the disciplines of the theatre are taught in a fun way. We work specifically towards examinations and really train our pupils in all elements of theatre etiquette. 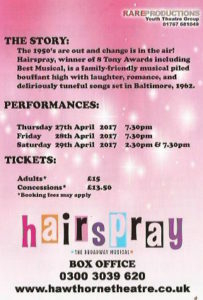 It is such a valuable experience for Callum and Hope but also special that our other pupils can go and watch the show and support their friends and fellow pupils!” she said. 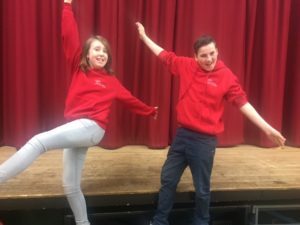 Little Voices in Welwyn Hatfield has been running since September 2016 during which time Cherice has welcomed pupils from the area to have a free trial lesson in drama and singing, if they enroll with the performing arts lessons Little Voices helps them to achieve consistently impressive LAMDA results, build confidence and learn about the professional industry. It’s all about building confidence and nurturing talent for the next generation and the tutors in Cherice’s team are incredibly dedicated!